Quiet, reverent solo piano to reduce the stress during the holidays. 35 minutes (10 tracks) of slow, gorgeous Christmas bliss! Put it on the stereo in the background from November to February. In early November of 1999, Kevin got restless and spent 3-4 weeks staying up late to finish a Christmas album. “An Acoustic Christmas” is the result and we’re sure you will love it! In October/November of 1999, I began to start planning for a follow-up album to In My Father’s House. At about the same time, I realized that I really didn’t want to have to go through the trouble I went through in recording that album and the fact that the resulting sound quality was less than stellar didn’t help matters! I therefore began researching a low-cost, yet high quality grand piano module for use in my next album. My search led me to consider a module from Kurzweil (world renowned in the area of grand piano modules and keyboards). While in Seattle on vacation, I found a local music store that carried a particular Kurzweil module and while speaking with them on the telephone, they mentioned that they also had a used EMU Proformance plus that I should try out. To make a long story short, I went to Petosa’s music store, listened carefully to the EMU Proformance ($200) compared to the Kurzweil model (~$800) and was astounded at how much better the Proformance sounded, at 1/4 the price. My birthday is in October and my dear wife purchased the Proformance for my gift (what a sweetie!). In November, I got this wild idea in my head to produce a Christmas album instead of an album of my own compositions. I knew I had a short time to do it in (since you generally get a Christmas album out at least a month before Christmas) and so I began deciding which hymns to include and began actual recording after Thanksgiving. The sheer beauty of the Proformance grand piano sound really lent itself to this project and I found myself spending many long nights (close to midnight) getting the material ready and finally, sometime around the first week of December, I was ready to do the final production of the album cover and inside cover, and decide on a price. At the end of that first week, I uploaded all the material, set up the D.A.M. 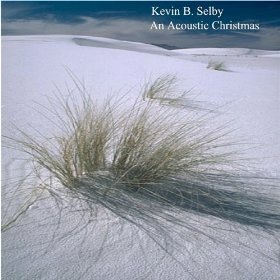 (Digital Automatic Music) CD on MP3.com and formally announced “An Acoustic Christmas” to my friends and fans. I have since then found an amazing new Grand Piano sound in the form of a SoundFont called the “GP One” and I remastered “An Acoustic Christmas” in November of 2000 and replaced all the tracks with the newly mastered ones. May you be blessed this Christmas season (or ANY season) as you listen to this CD! This entire CD was produced using a SoundBlaster Live Platinum sound card and Cakewalk Express 8.0 with the GP1 Grand Piano Soundfont by Alan Cheung. I then recorded .wav files of each track using SoundForge XP 4.0 and the Auditorium 1 reverb within the Platinum. Humble beginnings indeed.